Pyle Garden Centre was reopened in March 2012 by the First Minister, Carwyn Jones and the ribbon was cut by Derek Brockway, BBC’s iconic weather forecaster. Starting off small the Garden Centre and its Cafe became highly popular with the locals and word quickly spread throughout the Bridgend area. Straight away developments on the garden centre started. The original roof on the main building of the garden centre had some refurbishment and a shelter was constructed outside over part of the plant area to allow for plant enthusiasts to browse come rain or shine. The newly hired PGC staff quickly melded as a team when setting up the shop floor for business. 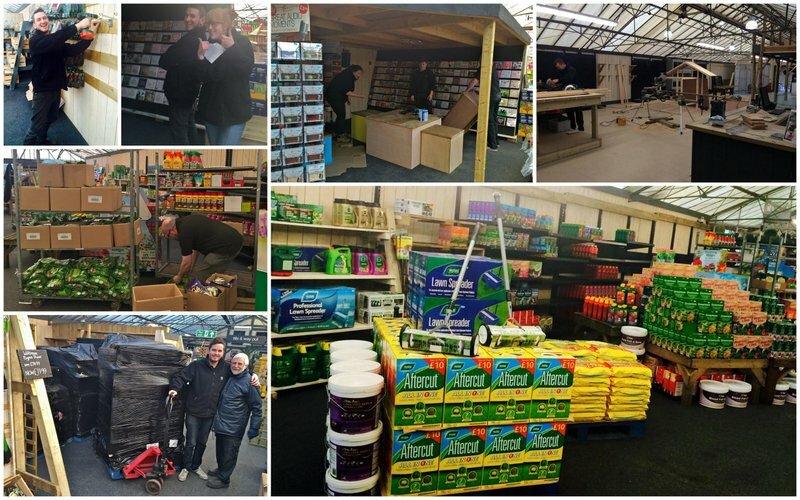 Many members of the original staff still work in the Garden Centre to this day with important roles which help keep the Garden Centre running. Since that date the site has expanded many times to accommodate new businesses wishing to join. With all the growth and new additions to the site the conscious decision was made to re-brand the site as a whole as Pyle Garden Village. The ever evolving site with its abundance of shops and outlets ensures that it is more than just a garden centre. Alongside the constant upgrades and additions to our site in 2016 Pyle Garden Centre was nominated into the Home and Garden Category at the Swansea Life Awards. Thanks to the support of our loyal customers we took home the award! The most recent development at Pyle Garden Centre was the refurbishment of the rear car park and an additional entrance. The rear car park saw a lot of fun during Santa's Arrival Weekend 2017!